Michael Lowe opened Michael’s in 1999 and has been looking after the locals of Mount Merrion ever since. Michael’s has recently been given a new lease of life, with new chefs, a new concept and new food. At Michael’s the focus is on serving home-made, natural and fresh Italian cuisine. The essence of Michael’s Italian is simplicity and taste in abundance. No doubt that the major influence comes from Italy, but a broader Mediterranean flavour finds it’s way into the cooking at Michael’s. What’s more, underlying every dish at Michael’s is a no compromise attitude to the basic ingredients that they use. 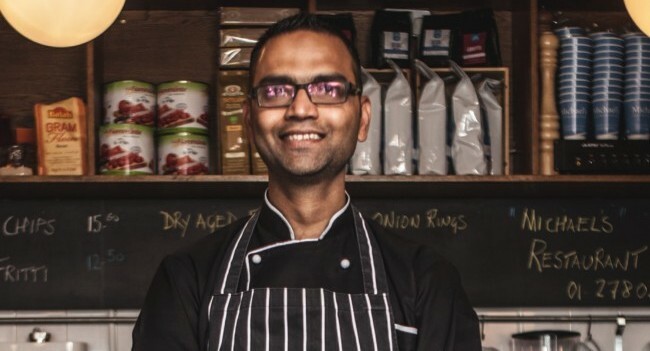 Tariq Hameed has been the back bone of Michael’s Italian for the past year of progression. Hailing from Karachi, where he trained in some of the best 5* Hotels like Sheraton in Pakistan and Hilton in Saudi Arabia. Since becoming head chef in Michael’s, Michael’s has received numerous stellar reviews. A stern believer in using only the freshest of Irish fish and the best of Aged Irish Beef, he has always managed to create magic on the plates and the open kitchen allows him to give his warm charm to the customers as he cooks. Michael’s authentically Italian, All-Day Menu has a range of Starters, Antipasto and Salads, Nibbles, Seafood, Butchers Block steaks and, of course, the Italian classics Pizza and Pasta. Don’t leave without sampling Michael’s homemade desserts. Take part in Michael’s Steak Club, every Wednesday from 6pm. Enjoy Michael’s Butcher’s Block steaks with a glass of their Wine of the Week, at very friendly prices. Sample Michael’s menu at a snip with their fabulously priced Early Bird Menu, available all day every Tuesday, Wednesday & Thursday. 2 courses are €21.95, and three 3 courses are €23.95. Don’t miss out on Pizza Tuesdays: All pizzas are just €10 every Tuesday – eat in or take away. Make Tuesday night your pizza night! Michael’s places huge value on the importance of using the best, seasonal ingredients and keeping it simple, fresh and most of all tasty. Using local Wicklow day boats to source the freshest shellfish and seafood, Michael’s have a huge desire to bring you the best seafood that Ireland has to offer, including our Crab claws, which are caught in small boats, and cracked by hand by a team of Wicklow housewives, and delivered to Michael’s the same day. Michael’s beef is the best that the Famous Maurice Kettyle has to offer, Aged in Salt Moss Cave for a minimum of 31 days and finished it off in Michael’s own meat room, until it’s just ripened. Their Veal comes from John O Reilly, who is well known for supplying Mount Merrion with the finest meats from his long standing family run butchers, a mere few metres from the restaurant. 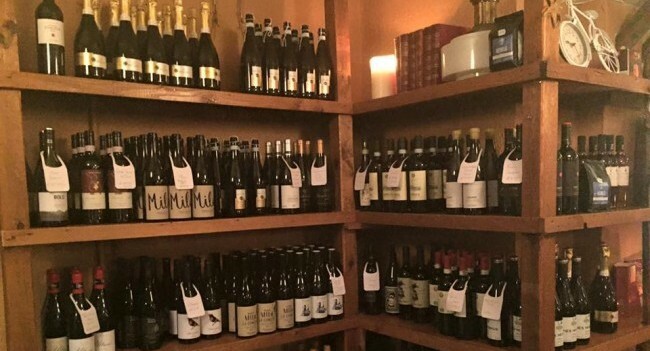 In addition to a tempting, authentic Italian menu, Michael’s have an extensive Wine Store. Their Wine Store stocks over 60 Wines for take away, sourced from Ireland’s premier wine companies, including Glug Wines, Liberty and Wicklow Wines.